Why Didn’t the Globe Names-Check Sacha Pfeiffer? Apparently, a reporter/movie hero is not without publicity except in her own paper. By now you most likely know that Boston Globe Spotlight reporter Sacha Pfeiffer was the Golden Globes plus one of actress Rachel McAdams, who played Pfeiffer in the movie. 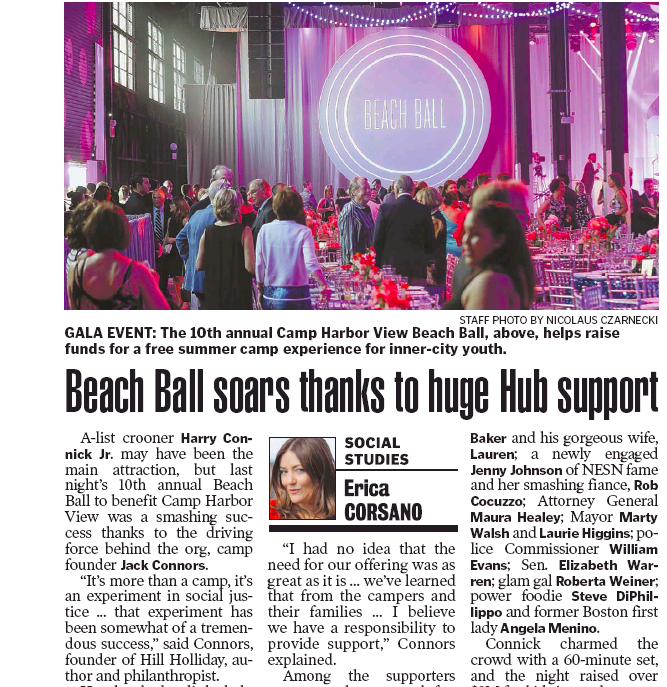 You certainly know it if you read Erica Corsano’s Social Studies column in today’s Boston Herald. 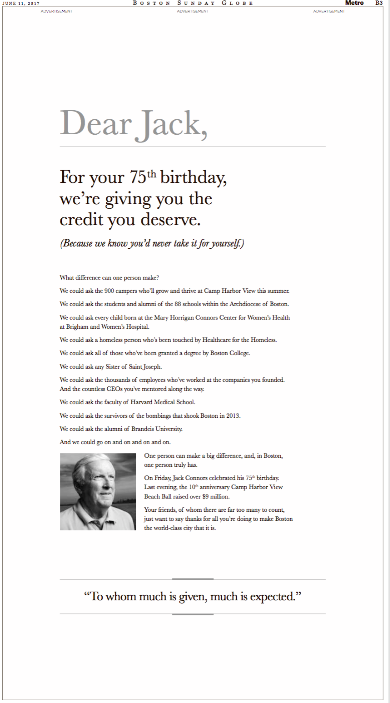 Crosstown at the Boston Globe, though, here are the local Globes-trotters spotlighted in today’s Names column. Call the roll from from top left): actress/model Ricki Lander, Patriots owner Robert Kraft, designer Nina Garcia, actress/Cohasset native Kate Bosworth, and actress/Boston Latin grad Julia Jones. Buried on the Globe’s website. Just for the record: Sacha looked very nice Sunday night. Hey, Globeniks: What does it say when the hardreading staff has to step in to do justice? 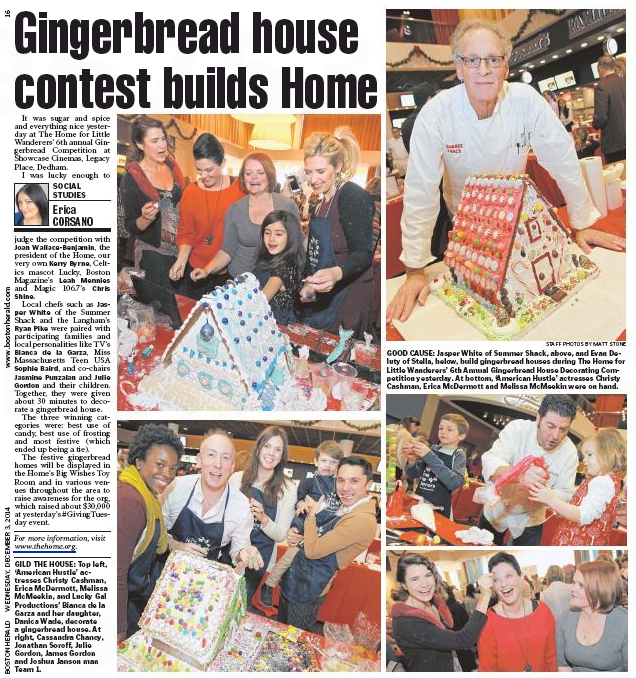 Question: When is a Gingerbread House Decorating Competition more than just flinging some frosting around? 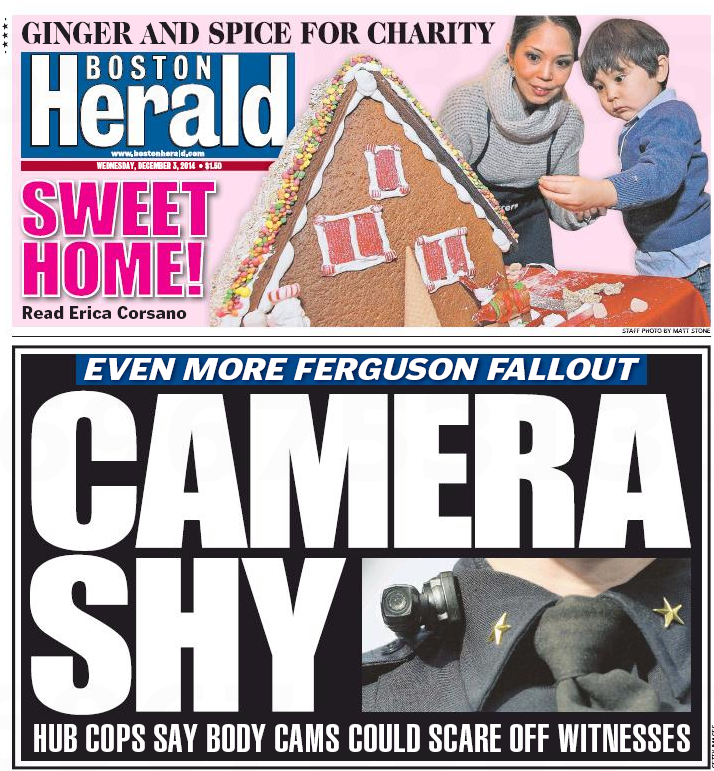 Answer: When a Boston Herald scribe is one of the judges! 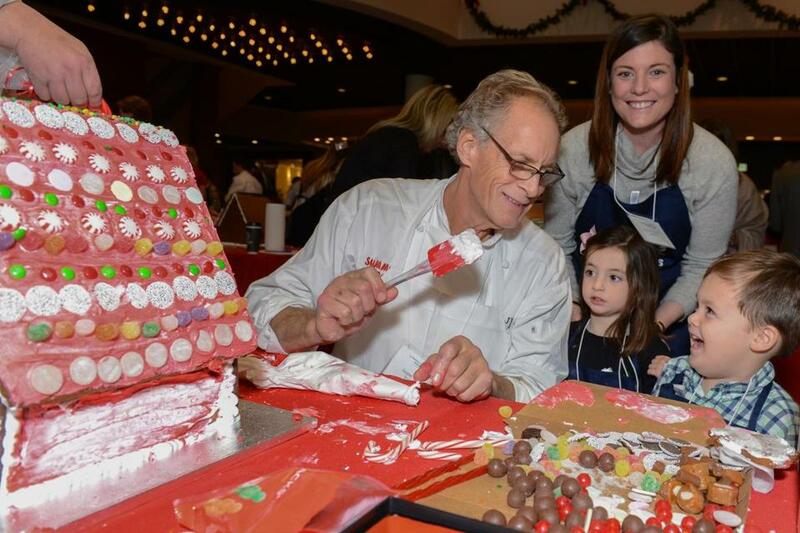 There was some fierce competition at The Home for Little Wanderers’ annual Gingerbread House Decorating Competition, held Tuesday at Showcase Cinema de Lux at Legacy Place in Dedham. Among those constructing homes worthy of Hansel and Gretel were former TV anchor Bianca de la Garza, “American Hustle” actresses Erica McDermott and Melissa McMeekin, actress-producer Christy Scott Cashman, Magic 106.7’s Candy O’Terry, Summer Shack’s Jasper White, and baseball scribe Peter Gammons. The event raised $30,000 for The Home for Little Wanderers, which is one of New England’s largest child welfare agencies. That’s okay, but the frosting local tabloid gave a clinic on how to hit the sweet spot. For starters, give it the top of Page One. Then give it all of page 16. I was lucky enough to judge the competition with Joan Wallace-Benjamin, the president of the Home, our very own Kerry Byrne, Celtics mascot Lucky, Boston Magazine’s Leah Mennies and Magic 106.7’s Chris Shine.